I am trying to do some analysis with Level 3 Standard Mapped MODIS NetCDF files, obtained from the Ocean Color Web level 3 data browser (https://oceancolor.gsfc.nasa.gov/cgi/l3), and I want to project them into a projected coordinate system and do some analysis. 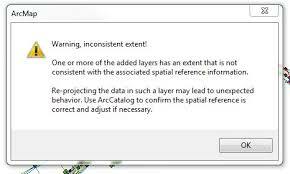 When making a NetCDF raster layer in ArcMap (using, predictably, the Make NetCDF Raster Layer tool) the Spatial Reference shows up as GCS_WGS_1984. However, the map projection associated with the NetCDF file, upon inspection with the NetCDF4 Python package, is "Equidistant Cylindrical". I have tried my best to understand what is going on but I do not feel confident in what I am doing. Can someone explain my confusion here- why is the raster not showing up with the projection I would expect it to? Browse other questions tagged arcgis-desktop coordinate-system arcgis-10.3 modis netcdf or ask your own question. Length difference between Google Earth and ArcGIS for Desktop? Why do gdal_translate and python gdal give wrong result (output spatial location) for translation of netcdf4 to geotiff?